I loved this movie and so did my grand children. The plot and story line is awesome, my pick for best picture. It is about time for a hero movie to win. Awesome! Worth watching! Its a great movie... Those who dont like it, might be old guys or in a dim old age who need bed rest thats why they dont understand the modern movie like Black panther. Those who gave negative reviews for this movie, they are the true defenition of being IDIOTS. 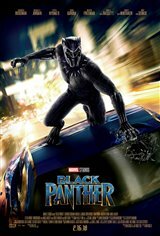 Its is an excellent movie and a new taste of holliwood movie being acted by great and good black actors, full of moral and epic story. Great movie as it depicts the story of our world politically. This movie deserved a million stars. Amazing movie.. Loved every mim of it..